The shrine of GOD Mallikarjuna of Srisailam is reputed to be one of the most ancient kshetras in India. The presiding Deities of this Kshetram God Mallikarjuna Swamy is one of the twelve Jyothirlingas and Goddess Bhramaramba Devi is one of the eighteen Mahasakthis and both are believed to be self-manifested. Day 02: Pick up from the hotel and drive to Malikarjun Temple (Srisailam) Bhramaramba Devi Temple, Sir Sailam Ropeway, Paatala Ganga,Paladhara Panchadara. Drop to Hyderabad Hotel. Overnight at Hotel. · All surface transportation & sightseeing by exclusive AC Dzire/similar as per above-chosen plan for the above itinerary with an excellent driver. • The decrease in the number of persons would increase the cost of the package. • All prices are calculated based on current fuel charges, city and parking permits, hotel taxes, govt service taxes and road taxes. • If the prices change during the time of group or individual travel, the supplement will be applicable to the group or individual. • Early check-in subject to room availability. Standard Check in 12 noon. • The quote is not valid during the festive period. Supplement for the same will be extra as per applicable. • The quote is based on an online portal which is not static we would request you to confirm at the earliest. The price and availability is subject to change without prior notice. • Hotels rooms are subject to availability at the time of confirmation. In case of unavailability of the rooms, we will provide the similar hotels/Camps. • Expenses caused by factors beyond our control like rail and flight delays and any other force majeure factor will be borne by the guest. • Services unused will not be refunded after confirmation. • Confirmation is subject to 100% advance payment. • All dispute will subject to Delhi jurisdiction only. · Do pray your Ishta Daivam before pilgrimage to Srisailam. 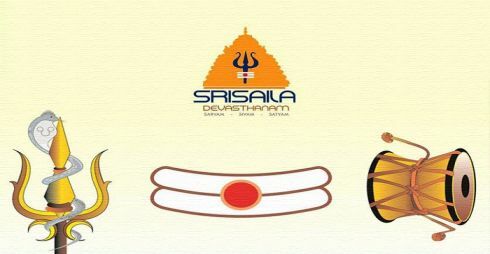 · Do contact Srisaila Devasthanam information centre for enquiry, temple information and for Pooja details etc. · Do reserve your travel and accommodation at Srisailam well in advance. · Do bath and wear clean clothes before you enter the temple. · Do concentrate on God Mallikarjuna Swamy and Goddess Bhramaramba Devi inside the temple. · Do maintain silence and recite Om Namahsivaya or your Istamantram to your self inside the temple. · Do observe ancient custom and traditions while in Srisailam. · Do respect religious sentiments at Srisailam. · Do not come to Srisailam for any purpose other than worshipping of Sri Swamy and Ammavaru. · Do not smoke at Srisaila Kshetram. · Do not consume alcoholic drinks at Srisaila Kshetram. · Do not eat non-vegetarian food in the Srisaila Kshetram. · Do not approach mediators for quick Darshanam. It may cause inconvenient to others. · Do not carry any weapon inside the temple. · Do not wear any head guards like helmets, caps, turbans and hats inside the temple premises. · Do not perform Sastanga Pranama inside the Sanctum Sanctorum. · Do not take much time while performing Sparsa Darshanam to Swamyvaru in Garbhalayam. · Do not buy spurious prasadams from street vendors. · Do not encourage beggars at Srisaila Kshetram..
· Do not spit or create nuisance in the premises of the temple.